Georgian Britain, setting for The Jacobites’ Apprentice. But what, exactly, did the Georgians ever do for us? Coffee houses had existed in Oxford and London since the middle of the 17th Century, but they really flourished in the Georgian era, spreading also to other provincial cities. The price of entrance was generally one penny and this would also purchase a dish of coffee, chocolate or tea. They provided a place for like-minded folk to meet, gather news, discuss scandal and fashion, transact business or engage in politics. And here’s how The Jacobites’ Apprentice describes the situation in Manchester in 1745: The Manchester coffee houses can compete with those of London neither in their number nor in their refinement but they share the fundamental features of such establishments throughout the country, attracting individuals of like minds and common interests to particular locations. So, on any given day, one may find the Tories, Episcopalians and Jacobites at the White Rose in Deansgate Street, and the Whigs, Presbyterians and Hanoverians at Elizabeth Cooper’s Old Coffee House near the Exchange. Unsurprisingly, Mistress Cooper’s establishment is the only one that will admit women, albeit only in the evenings, once they have begun to serve tea. 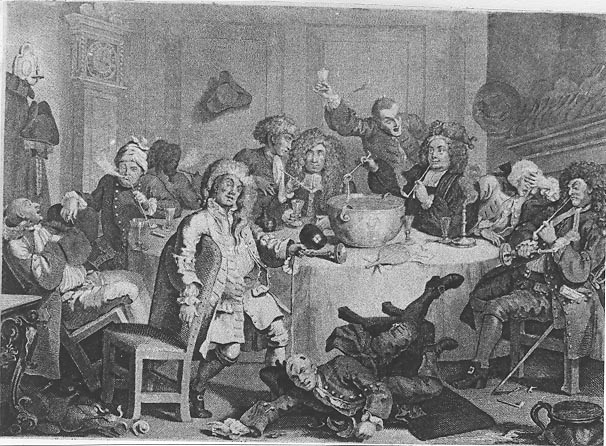 By the end of the 18th Century, the coffee houses had declined in popularity, their place often taken by tea rooms. Tea had been fashionable at court for more than a hundred years, but the simplicity of its preparation, in comparison with coffee, soon made it more widely popular. It’s been estimated that around 181,000 lbs of tea were imported to England between 1650 and 1700, but in the 1750s alone, that figure had risen to 40 million lbs. And that’s simply the level of legal imports. The taxation on tea made it a ready target for smuggling, and it’s likely that levels of smuggled tea may have exceeded the legitimate business. It was the 18th Century’s equivalent of today’s drugs trade. 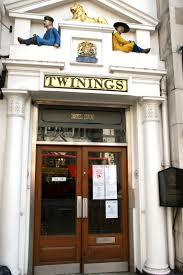 Thomas Twining opened the first known tea room in 1706 at 216 Strand, London. It’s still there. Meanwhile, Pleasure Gardens, such as that at Vauxhall, in London, had also become popular venues for tea drinkers. And, by the mid-1700s, team rooms (India Houses) and pleasure gardens had proliferated all over the country. The popularity of tea rooms in particular has never diminished. 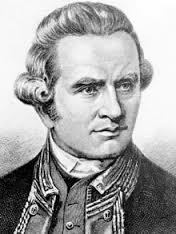 The Georgian era was obviously not unique in encouraging British exploration but it saw some exceptional expansion of our geographical knowledge thanks to… Christopher Middleton (Hudson’s bay); James Cook (New Zealand, Eastern Australia and New Caledonia); Arthur Phillip (Botany Bay); Charles Barkley (Strait of Juan de Fuca); George Vancouver (British Columbia and Hawaiian Islands); Mungo Park (Niger River); and Matthew Flinders (Tasmania), among others. The Georgian era saw the introduction of the periodical – the magazine. And an astonishing number are still being published today: The Spectator (1711); Lloyd’s List (1734); The Bee (1759); The Gospel Magazine (1766); Town and Country Magazine (1766); The Observer Magazine (1791); The Sporting Magazine (1792); and The Philosophical Magazine (1798). With the rise of magazines and periodicals also came the first true development of popular celebrity, and it achieved almost an art form in the 1700s, with most of the famous regularly the subject of newspaper gossip and “fan following”. 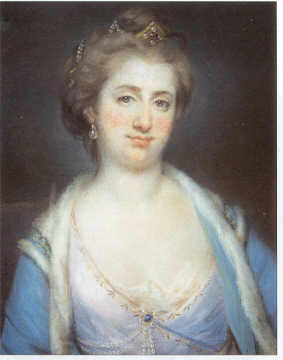 They included the courtesan, Nancy Parsons; actress and dancer, Elizabeth Bride; the poet, Alexander Pope; the architect, William Kent; the bare-knuckle fighter, Jack Broughton; the actresses, Sarah Siddons, Mary Robinson and Fanny Kemble; Lady Worsley and Captain George Bisset; the Duchess of Kingston; Queen Caroline Matilda and Johann Struensee; the Duchess of Devonshire; George, Prince of Wales – and many, many more besides. Among the celebrities of the 18th Century, none is quite so famous as Charles Edward Louis John Casimir Sylvester Severino Maria Stuart, commonly known in Britain by his detractors during his lifetime as The Young Pretender and often known by supporters in retrospective accounts as Bonnie Prince Charlie. 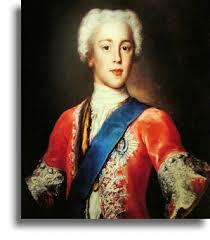 He was the grandson of the exiled Stuart King James the Second, and best known as the leader of a Jacobite rebellion in 1745, an attempt to restore the Stuart dynasty to the throne. He invaded England with a largely Scots army but the rebellion ended disastrously (for the Jacobites, and Scotland in general) at Culloden in 1746, and the Prince’s subsequent flight made him something of a romantic figure. A dubious gift to posterity, perhaps, and even though earlier monarchs had employed “chief minsters” or “first ministers”, the modern form of Prime Minister really only emerged with the Georgians. 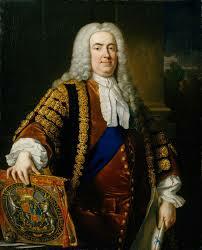 When Hanoverian George I came to the throne in 1714, he spoke not a word of English, and the additional responsibility this placed on the first minister effectively made him the head of government, the principal point of contact between the King and his ministers – the Prime Minister. The Whig politician, Robert Walpole, held this position from 1721 until 1742 and, by the end of that period, the balance of power between King and Parliament had changed forever. 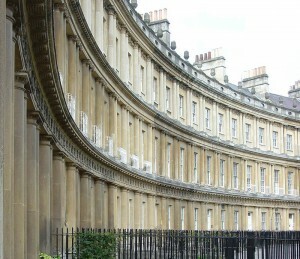 British architects of the Georgian era borrowed the word from garden terminology, to signify those new rows of uniformly fronted town houses, which had suddenly become so popular among the wealthier classes. Some significant examples were: London’s Grosvenor Square (1727), Belgrave Square and Carlton House Terrace; Bath’s Queen Square (1729) and Royal Crescent (1767); and Dublin’s Merrion Square and FitzWilliam Square. Georgian architecture therefore became a natural successor to English Baroque and was typified by neo-classical and Palladian styles. 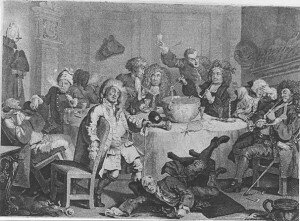 The gross mismanagement by both the British Parliament, and particularly George the Third, led directly to the protests of American colonists, from 1765 onwards, to complain about their excessive taxation without any political representation in return. Protests like the Boston Tea Party resulted in even more punitive legislation, and fighting between colonial militiamen and the British army at Lexington and Concord in April 1775 resulted in a vicious war that would last until 1783 – and end in American Independence. The rest, as they say, is history. 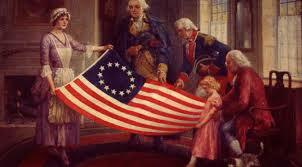 They were an inventive bunch in the 1700s. Not just sedan chairs, carbonated water, the sandwich, the flush toilet, the dictionary, smallpox vaccinations, or the sextant. But invention on an industrial scale. James Hargreaves was inventing the spinning jenny, Samuel Crompton the spinning mule, and Arkwright the water frame. Abraham Darby was busy using coke to fuel his blast furnaces and revolutionise iron production. James Watt was developing the steam engine. Jethro Tull was improving the seed drill. The Third Duke of Bridgewater was funding canal construction. Telford and MacAdam were finding new ways to surface our roads. And John Lombe’s water-powered silk mill was perhaps the first highly mechanized factory. Hundreds more similar examples. Of course, population explosion came closely on the heels of the Industrial Revolution, as well as the great migrations of rural families to urban areas. And industrialisation gave birth to the two great movements of the following centuries – Capitalism and Socialism. But, one way or the other, after the Georgians, the world would never be the same again. Thanks for the great news letter! It’s always nice to read work by a true lover of history and historical fiction. My passions are Scotland and ancient Egypt. I understand there could be a tie between the two through an Egyptian princess named Scota. I read several articles about her and had to giggle because of course ancient Egyptian noblemen wore pleated kilts whereas the women wore not much at all!! There is another film (documentary drama) about the Jacobites. It’s from 1964 and it’s called Culloden. It was made in the style of a news reel. Can you imagine having today’s news journalists covering the Jacobite army? It makes me smile to think about it!! I enjoyed the film even though it was in several parts on You Tube. Greetings from Detroit! ( well, metro Detroit since no one really wants to live in Detroit! ) ? Hi Lori. How lovely to hear from you and glad you like the newsletter. Interesting point you raise about Scota too, particularly given all the genetic research that’s been going on over here to properly identify the origins of the various people we now collectively call the Celts. Growing evidence to show that, while the roots of those who settled in mainland Britain (the “Welsh” etc) are almost certainly central European, those who settled in Ireland (including the Scoti) probably arrived there by travelling up the west coast of Europe, from Portugal and Spain and even, perhaps, from North Africa. Egypt seems like a bit of a stretch – though who knows! So far as the Jacobites go, I’ve seen Culloden many times – and love it! But I normally show movies (rather than drama documentaries) when I’m doing my gigs – just because it’s easier to pull an audience if you say they’re going to watch a “blockbuster” and then chat about it. They work really well.And if you like Culloden, you’ll certainly like Chasing The Deer. It’s hard to get on DVD now but I THINK you can now see the whole movie on YouTube. Give it a go! Let me know what you think. And poor Detroit, eh? We were there a long time ago. My wife, Ann, has lots of family around Gaylord, Michigan, and on our way there we dropped down into Detroit itself. 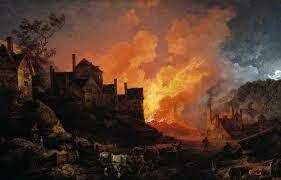 The city was suffering very badly then, but must have been severely hit since, with all the job losses, etc. Anyway, good luck to you and keep in touch. I think you’ll like the new book, by the way!